Hernando County had by far the strongest showing in December as Tampa Bay home sales overall ended the year far less robustly than they began. The smallest of the four bay area counties, Hernando recorded the biggest increase in the number of single-family homes sold — up 9 percent compared to the same time a year ago. It also had by far the biggest jump in prices, a 17.2 percent gain to a median of $164,000. Pasco notched the second biggest price increase, up 12.4 percent to a median of $215,000, followed by Pinellas, up almost 8 percent to $239,900. Hillsborough trailed with an anemic 1.6 percent increase to $236,200. All three of those counties saw only modest increases in closed sales as the market continued to be plagued by a shortage of available homes. And September’s Hurricane Irma “slowed things down a little bit more than they would have otherwise,” said Charles Richardson, regional vice president for Coldwell Banker. Still, he and others expect this to be a strong year for Tampa Bay even though it does not rank among Zillow’s “10 hottest housing markets for 2018” — San Jose, Raleigh, Seattle, Charlotte, San Francisco, Austin, Denver, Nashville, Portland, Ore. and Dallas. Hillsborough recorded December’s top sale, a $3.325 million estate on Tampa’s Davis Islands. 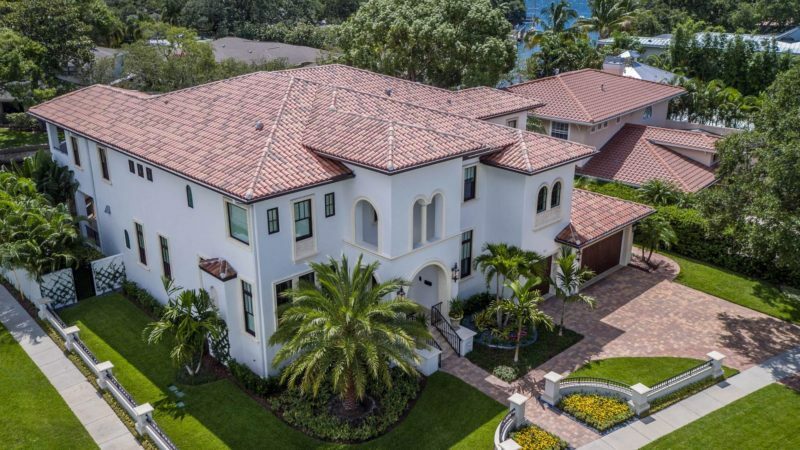 In Pinellas, the most paid was $2.9 million for a home in Clearwater’s Island Estates with room for a 70-foot boat. And Pasco tallied one of its most expensive residential transactions in a decade — $1.34 million for a newly built house on the Fox Hollow Golf Course in Trinity. Statewide, sales of single family homes rose just 2.6 percent while prices climbed 8 percent to a median of $244,185. And nationwide, sales of all existing homes — single family plus condos and townhouses — rose just 1.1 percent in December compared to a year ago though the median price jumped to $246,800, up nearly 6 percent. That increase marked the 70th straight month of year-over-year gains. Tampa Bay had 12 percent fewer homes on the market at the end of last year than it did in 2016. As a result of that shortage, about one in every seven homes sold for more than the asking price.